Border Engineering Training Association’s (BETA) Corporate Social Responsibility (CSR) company policy refers to our responsibility toward our environment. Our company’s existence is not lonely. It’s part of a bigger system of people, values, other organizations and nature. The social responsibility of a business is to give back to the world just as it gives to us. BETA’s Management committee supports the principles set out in this policy and the aim of this policy which is to translate that support into a set of guidelines and standards that set a common approach for BETA and provide practical guidance for our managers and employees on the ground. This policy applies solely to BETA. It may also refer to suppliers and partners. BETA wants to be a responsible business that meets the highest standards of ethics and professionalism. BETA’s social responsibility falls under two categories: compliance and proactiveness. Compliance refers to BETA’s commitment to legality and willingness to observe community values. Proactiveness is every initiative to promote human rights, help communities and protect our natural environment. Conduct every aspect of our business with honesty, integrity and openness, respecting human rights and the interests of our employees, customers and third parties. Respect the legitimate interests of third parties with whom we have dealings in the course of our business. Maintain the highest standards of integrity – for example, we will not promise more than we can reasonably deliver or make commitments we cannot or do not intend to keep. 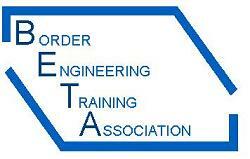 BETA is committed to creating and maintaining a safe and healthy working environment for its employees. BETA will strive to create a workplace in which there is mutual trust and respect and where every person feels responsible for the performance and reputation of our company. BETA will respect the individual and each other’s rights, customs and traditions including the right to freedom of association and the right to decide whether or not to join a trade union and will negotiate in good faith with the properly elected representatives of its employees. BETA will work towards achieving a diverse workforce, recruiting, employing and promoting employees only on the basis of objective criteria and the qualifications and abilities needed for the job to be performed. BETA will maintain good communications with employees through our information and consultation procedures. BETA will assist employees in realising their potential. BETA is committed to providing safe, value for money, high quality, consistent, accessible and reliable services to its customers. BETA aims to develop strong relationships with our suppliers, stakeholders, Actors and others with whom we have dealings, based on mutual trust, understanding and respect. In those dealings, we expect our partners to adhere to business principles consistent with our own. BETA will conduct their operations in accordance with the principles of fair competition and applicable regulations. BETA recognizes the need to protect the natural environment. Keeping our environment clean and unpolluted is a benefit to all. We’ll always follow best practices when disposing garbage and using chemical substances. Stewardship will also play an important role. BETA is dedicated to protecting human rights. We are a committed equal opportunity employer and will abide by all fair labor practices. BETA will ensure that our activities do not directly or indirectly violate human rights in any country (e.g. forced labor).